In this series, I outline the basics of a healthy lifestyle, from wellness to fitness to nutrition. Nothing fancy here. However, the basics are often overlooked and undervalued. I highlight a few basic habits and expand on a better version of each that are both effortless and (arguably) even easier than the general recommendation(s). Take a look below and see which habits are applicable for you. A new study published in the Annals of Internal Medicine by The American College of Physicians found that sitting for prolonged periods of time, even if you’re a heavy exerciser when you’re not at the office, can be deadly. 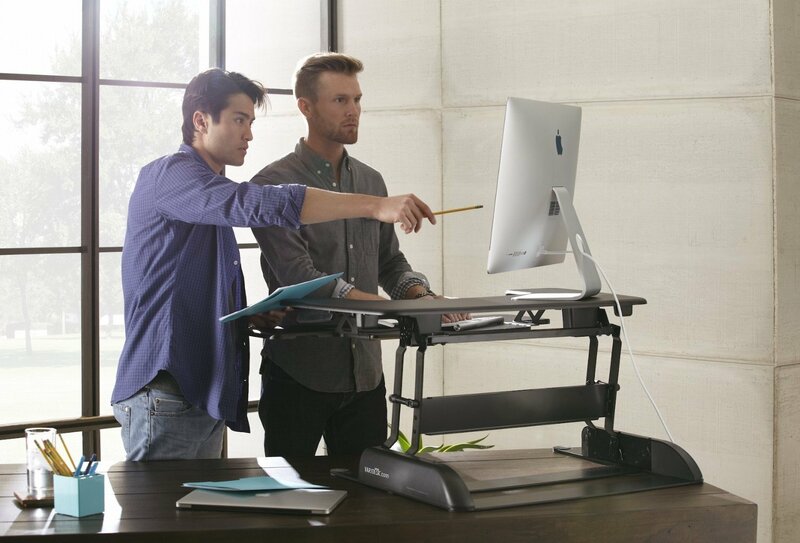 Researchers suggest that people who have seated jobs get up every 30 minutes to help counter the effects of spending the day seated. Basic Habit: Stand every 30 minutes. Better Habit: Keep drinking water throughout the workday. More water means more trips to the bathroom. More trips means getting up more frequently (and now you’re adding years to your life). Win-Win. Watch my client D.H. demonstrate the proper technique to breathe out of ones’ diaphragm. Here we are using the nose to inhale and the straw to exhale. The purpose of this is to train the body to take long, slow breaths and allow the belly to expand and store. Basic Habit: Take deep breaths when breathing. Better Habit: Inhale through your nose and exhale through either the nose or mouth. If this isn’t normal for you, try the above straw breathing exercise. Sleep is so undervalued, it’s becoming the most predictable factor in overweight and obese populations. Take a look at the newest research findings that correlate lack of sleep patterns with dementia and early death. Basic Habit: Sleep a minimum of 7 non-interrupted hours every night. Better Habit: Flip your night routine into your morning routine. Why not go to bed at an earlier hour (maybe even the same times as your kids) and either wake up at an earlier hour or allow yourself to fully recharge with an extra hour or two of sleep? Weight loss and physique changes are accelerated with exercise, but they do not occur from exercise alone. 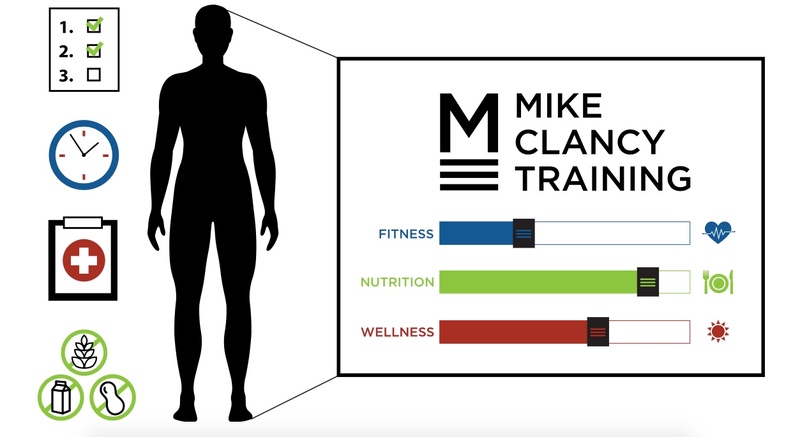 This is where dietary and sleep habits need to be improved. 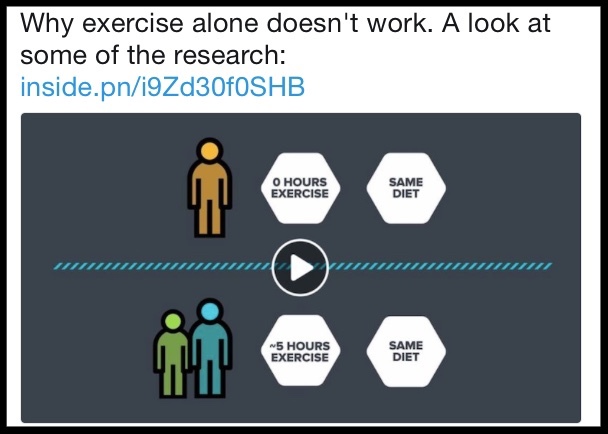 Watch this 3-minute video to see the research and findings on the influence of exercise on weight loss. Basic Habit: Exercise often to lose weight. Better Habit: Exercise in moderation AND in conjunction with improving your dietary habits. SoulCycle alone won’t change your look. 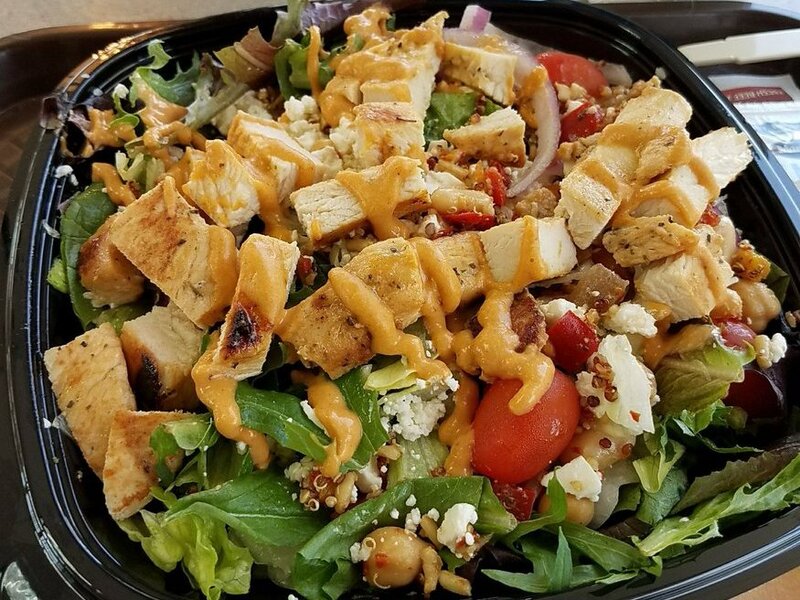 Wendy’s power Mediterranean chicken salad has 480 calories. Business Insider researched 20 different salads from 7 popular fast food chains and ranked them based on Calories. Basic Habit: Order a salad if you are eating at a fast-food chain. 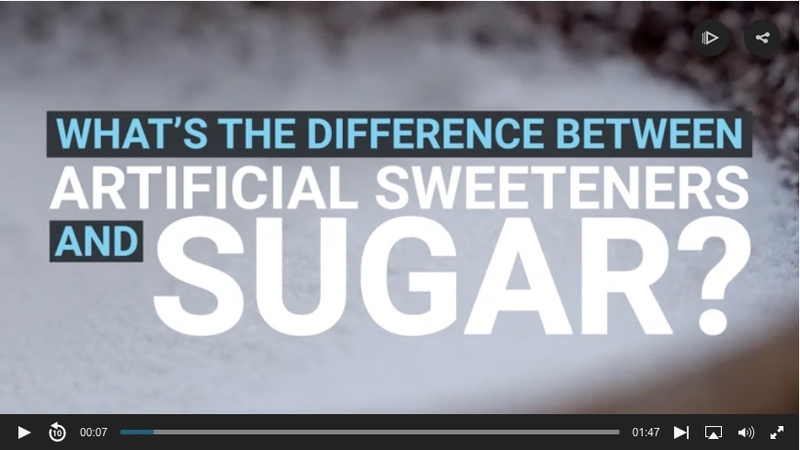 Do you ever wonder if there’s a difference between sugar and all those artificial sweeteners you put in your coffee? It turns out, there are a number of key distinctions between them. Click the above image to play the 2-minute comparison video. Basic Habit: Avoid the Calories of sugar by using a chemically-ridden artificial sweetener in your coffee/tea. Better Habit: Are you sure you like coffee/tea? Consider taking caffeine pills and avoid all of the negative health effects of artificial sweeteners, including the increased risks of developing cancer.